Voices softly murmuring, students and teachers are bent over work, yarn balls, crochet hooks…WHAT?! You’re smack dab in the middle of GSA’s newest service group, The Shepherd’s Crook Crochet Club. Members of the Jr. 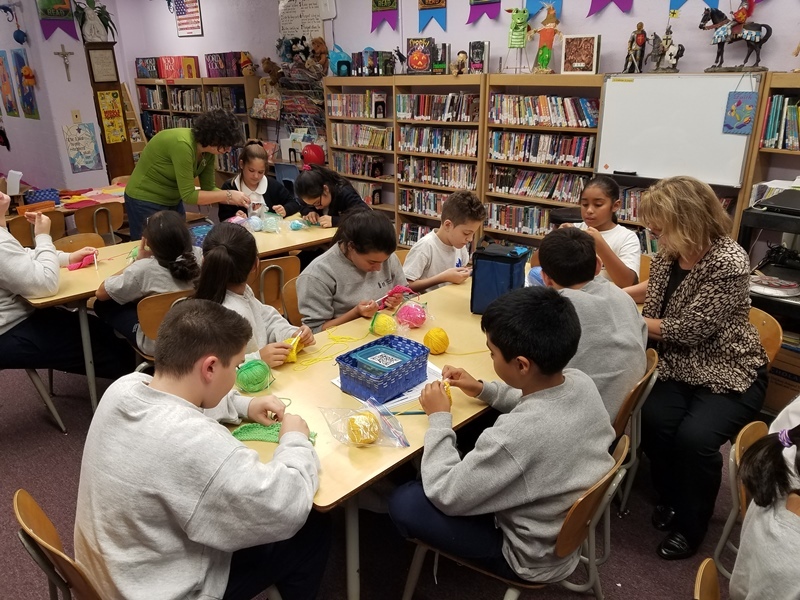 Honor Society have teamed up with the Jr. Stewards club to give back to others by bringing back an old skill. 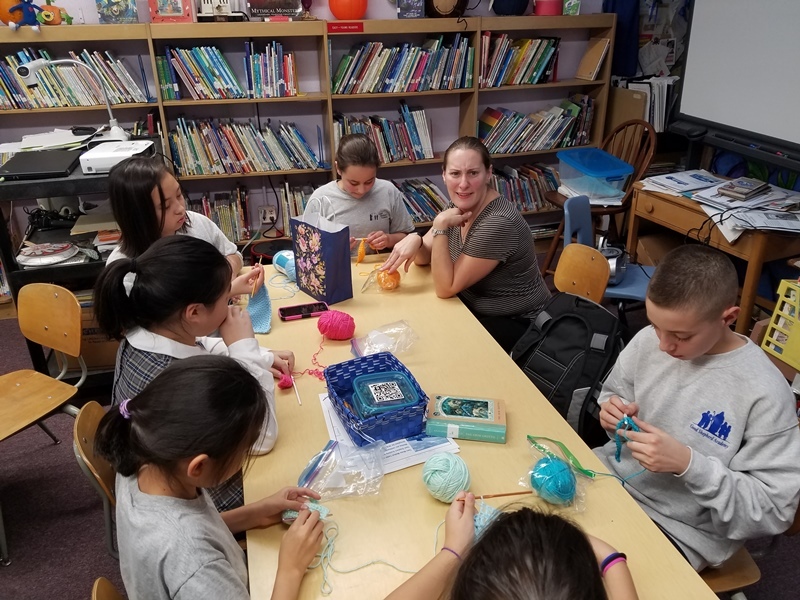 The group gathers together informally twice a week, Tuesdays and Fridays, after school, to learn basic crochet stitches, guided by faculty. More experienced students are mentoring less experienced and teaching those new to it. Thus far student interest is beyond expectation! Friday’s session saw every chair in the library occupied by motivated 4 th through 8 th graders. Several teachers can be found either coaching or learning themselves. We even had a few alumnae as well as a parent or two stopping in to join the fun. At present most students are working on mastering single crochet and turning skills. The initial goal is completing a 7” x 9” rectangle (called a square in crochet speak). First timers get to pick a yarn color, receive their first crochet hook and are on their way. One nice thing about this activity is the anywhere, anytime you have a free moment nature of it. Many are working on their crochet at recess. 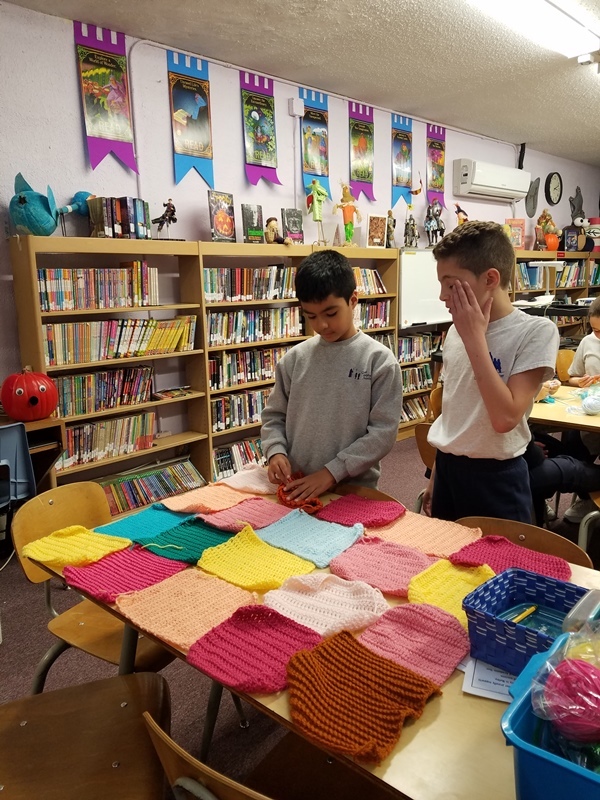 Inspired by the charity Warm Up America which gathers crocheted items for distribution to those in need, GSA hopes to give our finished blankets and throws to local organizations, however, Warm Up America will take pieces we have, combine them with other contributions to donate where needed most.